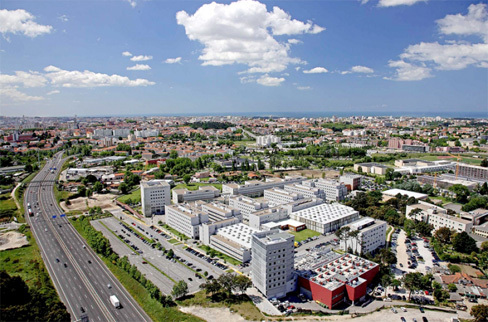 The FEUP CAREER FAIR will take place at the Faculty of Engineering – University of Porto (FEUP). If you have Google Earth installed, you may download the file FEUP.kmz and open it to see FEUP’s location. If you don’t, you should first install Google Earth (available at http://earth.google.com). If you arrive at Aeroporto Francisco Sá Carneiro, the quickest way to get to FEUP is by metro, E line (violet). You need to change lines at Trindade Station and catch the D line (yellow). The closest station is “IPO”, within a 5-10 minute walking distance. Taxi: a ride to any of the conference hotels is around 20.00 €. Volumes needing to be carried in the luggage compartment are charged 1.50 €.